About Psychic Readings | How Do Psychics Work? How do psychics work? How do psychics know personal things? How do psychic readings work, and what can I expect from a reading? These are all common questions that you might have as you consider working with an advisor. Browse through the articles and videos below to find answers to these questions and more. To understand how psychics work, it helps to understand how psychics get their information. Some, like clairvoyants, get their information in the form of visions. Others, such as empaths, are so acutely sensitive to emotional vibration, that they pick up the feelings of others intuitively. Some psychics, like love psychics and career psychics, find that they are especially adept at reading the energy of romantic and interpersonal relationships. Do you know what to expect from a psychic reading? Learn more about the many different types of psychic readings, so you can pick the right one for you. For example, if you're looking for very specific predictions about people and events, consider a tarot reading or for timing, an astrology reading. If you're trying to discern a lesson in your current situation, a spiritual reading may give you a sense of purpose and meaning. Want insight into your relationships? Choose a love reading. In ancient times, people traveled miles to visit the ancient oracles, and in-person readings remained the standard way to get a psychic reading for centuries. Technology has changed all that. 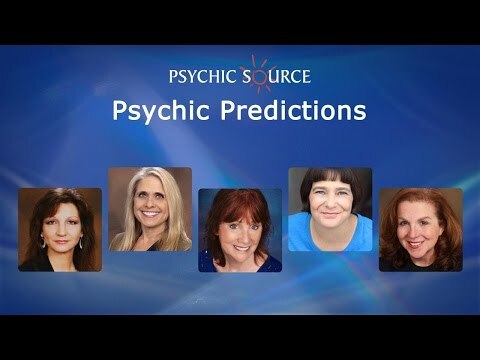 Now most psychics work over the phone giving psychic phone readings, or provide psychic readings online through chat or video, and there are more and more ways to get a psychic reading than ever before. If you’re not familiar with a psychic-related term or need more clarification, check out our glossary. Some of our most knowledgeable psychics have contributed, making it the number one source for psychic information. Still want to know more? You can get a reading with one of the glossary’s authors!